The Astrid Lindgren Memorial Award is presented every year. The award money is SEK 5 million, making it the largest international children's and young adult literature award in the world. 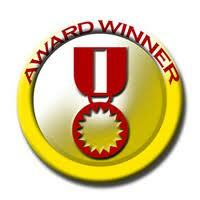 The award total indicates that reading by children and young adults is extremely important. The total is also intended to inspire anyone involved in children's literature. The awards that Bologna Children’s Book Fair gives to artists and publishers are some the most coveted international prizes in the publishing world - given for excellence in graphic styles, innovative format, artistic strength, balance, and with a distinct voice and narrative for young people to engage in. The Carter G. Woodson Book Award is presented to exemplary books written for children and young people each year at the NCSS Annual Conference. Authors are recognized at the NCSS Annual Conference, which is attended by over 3,000 K-12 and university level educators and other social studies professionals who enjoy interacting with the Woodson Award-winning authors and will be interested in obtaining copies of books for use with their students. Award-winning authors will be presented with a commemorative gift at the NCSS Meet-the-Author Panel Session. A book signing will follow. he comic book world's version of the Oscars. But did you know it's also home to other prestigious awards? Explore the world of Comic-Con Awards by clicking on the drop-down menus above or the links on the right sidebar, and find out all about the Eisner Hall of Fame, Retailer Award, Icon, Inkpots, Clampett, Finger, and Manning awards, plus see past winner lists from our Film Festival. Known collectively as the Ezra Jack Keats Book Award, the New Writer Award was established in 1985 and the New Illustrator Award in 2001 to recognize and encourage emerging talent in the field of children’s books. Many past winners have gone on to distinguished careers, creating books beloved by parents, children, librarians and teachers around the world. The IBBY Honour List is a biennial selection of outstanding, recently published books, honouring writers, illustrators and translators from IBBY member countries. The IBBY Honour List is one of the most widespread and effective ways of furthering IBBY's objective of encouraging international understanding through children's literature. The Jane Addams Children's Book Award annually recognizes children's books of literary and aesthetic excellence that effectively engage children in thinking about peace, social justice, global community, and equity for all people. The Man Booker Prize is the leading literary award in the English speaking world for outstanding fiction for the best novel of the year written in English and published in the UK. This award is sponsored by Man Group and the winner receives £50,000 as well as the £2,500 awarded to each of the six shortlisted authors. The annual NSTA Awards and Recognition Program recognizes exceptional and innovative science educators created in 1973. The NSTA Awards and Recognition were created to raise awareness and exposure of the outstanding work being done in the science education field. 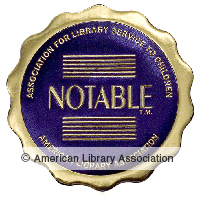 For promoting and recognizing excellence in the writing of nonfiction for children. YALSA launched a Teen Book Finder Database, a one-stop shop for finding YALSA's selected lists and award winners. Search this free resource by award, list name, year, author, genre and more, as well as print customizable lists. This replaces the individual award and list web pages on YALSA’s site that are not searchable and that are organized only by year. Annually, a committee of the CL/R SIG (Children’s Literature and Reading Special Interest Group) of the International Literacy Association selects 25 outstanding trade books for enhancing student understanding of people and cultures throughout the world. The committee reviews books representing all genres intended for students K-12. Beginning in 2006 USBBY has selected an honor list of international books for young people. The USBBY Outstanding International Books List is published each year in the February issue of School Library Journal and as a bookmark. The Outstanding International Books (OIB) committee is charged with selecting international books that are deemed most outstanding of those published during the calendar year. For the purposes of this honor list, the term "international book" is used to describe a book published or distributed in the United States that originated or was first published in a country other than the U.S.
Children's Notable Lists, recommending exemplary books, videos, recordings, and computer software for children. Each year the Association for Library Service to Children (ALSC) identifies the best of the best in children's books, recordings, and videos. Use the links below or on the menu at the left to access current and past children's notable lists, learn about the submission process, and access the current selection committee rosters.